This Knight stands with a drink in his hand. Unlike Sir Lancelot, Sir Galahad would rather eat than fight! This Knight stands with a drink in his hand. Unlike Sir Lancelot, Sir Galahad would rather eat than fight! 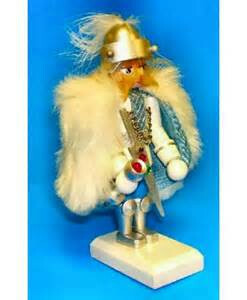 Another miniature nutcracker from the Camelot Series, he, too, is approximately 5.5" tall.